Ask your question, open the book and your answer will be revealed. Youll know your truth. Experience peace. Be inspired. Get clarity. 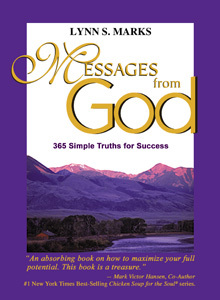 Whether you call these messages intuition, instinct, gut feelings, God-voice, higher knowing, spirit--it does not matter. It is about communicating truths. These simple messages touch hearts and change lives. Its the perfect gift for your self and others.